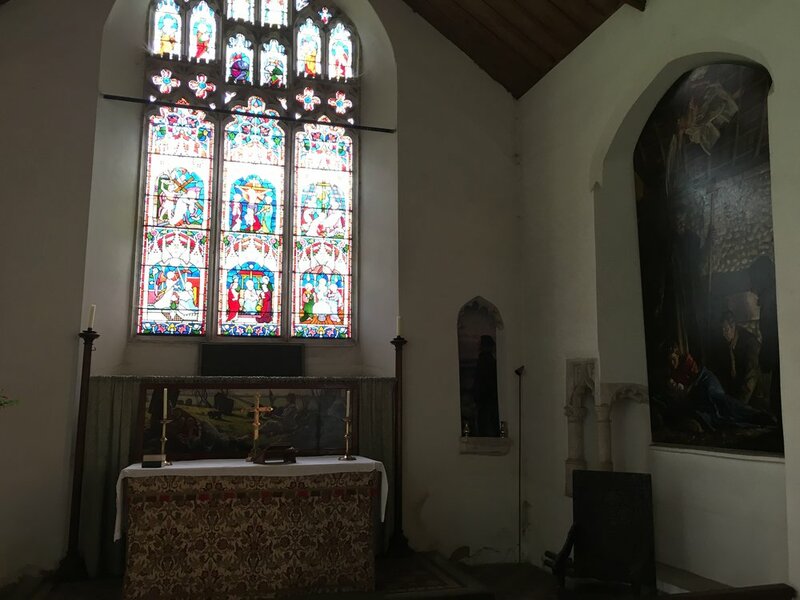 Richard Foster was brought up at East Lexham, Norfolk and he aways thought that something ought to be painted for the blocked up window in the church. He first measured it in 1972, then thought about it in the Eighties, and finally got started in 2005. It was finished and hung in 2013. In 2015 Richard painted a St Andrew, patron saint of the church, for the niche. In May 2017 he hung the "Second Coming" behind the altar. On Saturday 8th and Sunday 9th July 2017, 10:00am until 4:00pm (free entry) there will be an exhibition next to the church of all the preparatory work related to the pictures in the church.